Discover your strength while improving fitness with yoga at American Family Fitness. Exercise your body, mind, and breath with a practice that has been performed for centuries. Are you looking for a fitness activity that does more than work out the body? Yoga group classes at our Mechanicsville gym treat the body as well as the mind through controlled breathing and purposeful moves. Our certified instructors lead members through classes that improve balance, range of motion, and flexibility. For a gentle workout that's easy on joints and relaxing to both mind and body, try yoga. With yoga group exercise at our Mechanicsville health club, you can expect instructors who are skilled and knowledgeable. Classes are perfect for seniors, those in chronic pain, or members who want to learn the graceful art that is yoga. Exercise your way to better breathing and body awareness. Yoga classes are scheduled throughout the week at our gym in Mechanicsville. 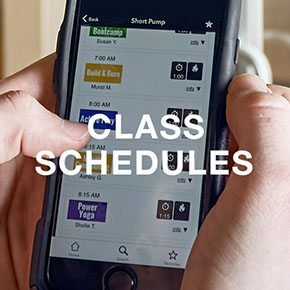 Check the Class Schedules page to find a date/time that works best for you. 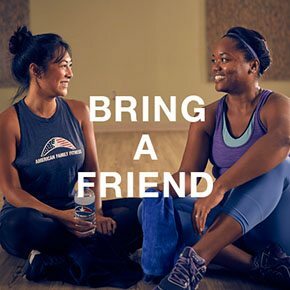 A mind and body workout is more relaxing with a friend! Stop by the Welcome Desk and ask about our Referral Program. See our Guidelines for more information about the Guest Policy at American Family Fitness.